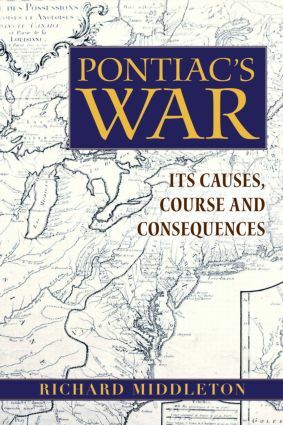 Pontiac’s War: Its Causes, Course, and Consequence, 1763-1765 is a compelling retelling of one of the most pivotal points in American colonial history, in which the Native peoples staged one of the most successful campaigns in three centuries of European contact. With his balanced analysis of the organization and execution of this important conflict, Middleton sheds light on the military movement that forced the British imperial forces to reinstate diplomacy to retain their authority over the region. Spotlighting the Native American perspective, Pontiac’s War presents a careful, engaging account of how very close to success those Native American forces truly came.